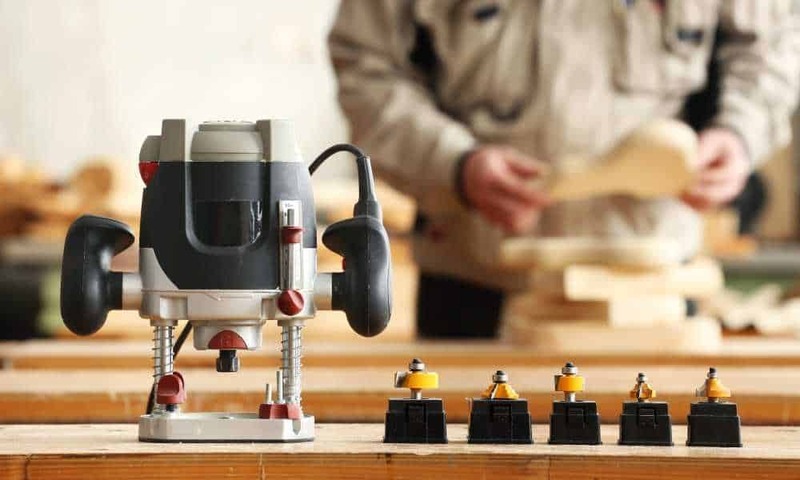 There are so many wood planers on the market today, but luckily you only need to choose one to get the job done. 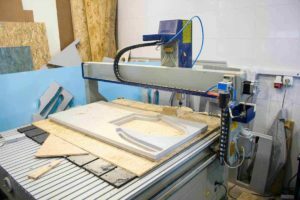 If you’re new to woodworking, then you’ll likely need to know that wood planers don’t come cheap, so you’re going to need to know exactly what you’re looking for in the machine; many of them fail to have basic key features. 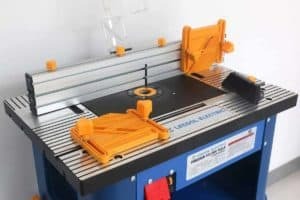 To help you choose the best hand planer, we’ve come up with a list of the top 5 wood planers on the market. If you’d like to know more then keep reading and we’ll give you an overview of all their features. The PL1632 is a 3¼ inch wood planer which has a powerful 6.5-amp motor and offers you an industry first planer with a lock on/off button which can help prevent the risk of accidents and other startups issues. It includes a dual mount fence which can help give non-flexing guidance. 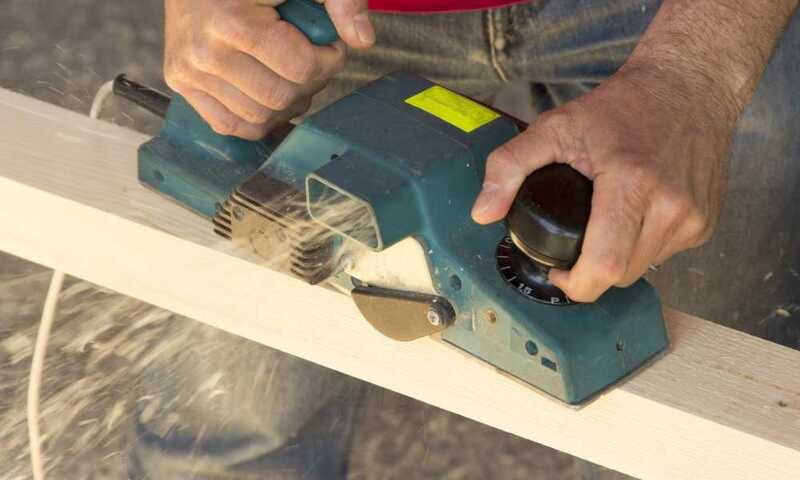 This can help prevent the marring of doors or other projects that you’re working on. The ball joint cord swivel can help you move the cord out of the way and ensure that it doesn’t accidentally fall into the chamber. 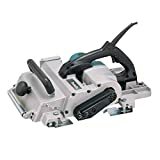 This wood planer is one of the best picks when it comes to a beginner’s wood planers as it excels at safety and convenience. The wood planer has a spring-loaded built-in stand which can help alleviate it and protect the blades and can save you money. It comes equipped with a powerful 6.5-amp motor which can run at 16,500 RPM which allows for fast stock removal. 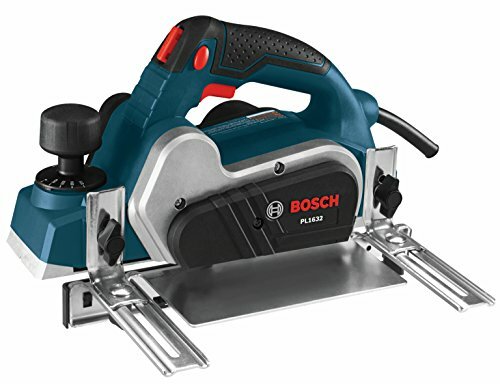 When you purchase the kit you get the Bosch PL1632 wood planer, a reversible wood razor blade, a no-mar plastic overshoe for fencing, a dual mount guide fence, a blade wrench, and lastly a shavings bag to help keep your station clean. The DeWalt D6677K is a portable hand planer kit which allows you to take the elbow grease of your projects. It allows you to quickly remove materials at a depth of 1/16 inches and can produce up to 34,000 RPM. 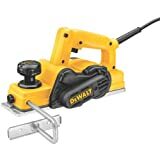 The DeWalt planer can help remove the material efficiently and quickly. Included on the DeWalt is a fine-tune depth adjustment knob which allows you to control the amount of materials that are to be removed from your project. This product is designed to cut through the toughest of woods and will give you a smooth and even finish on all of your projects. 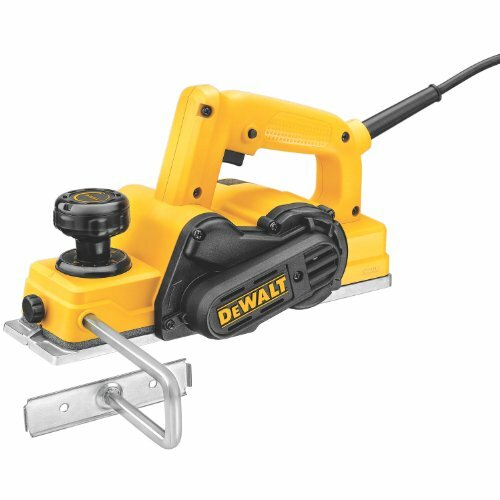 The DeWalt D26676K is a 3 ¼ inch portable hand planer which comes with a kit. It has a powerful 5.5-amp motor that provides you with a better smooth and even finish on even the roughest of woods. 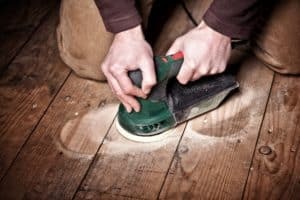 It can produce up to 34,000 RPM which means it can quickly remove excess materials from wood boards. The kit comes with reversible carbide blades which have improved lifespan. It has an adjustment knob which can be calibrated to 1/16 inches. 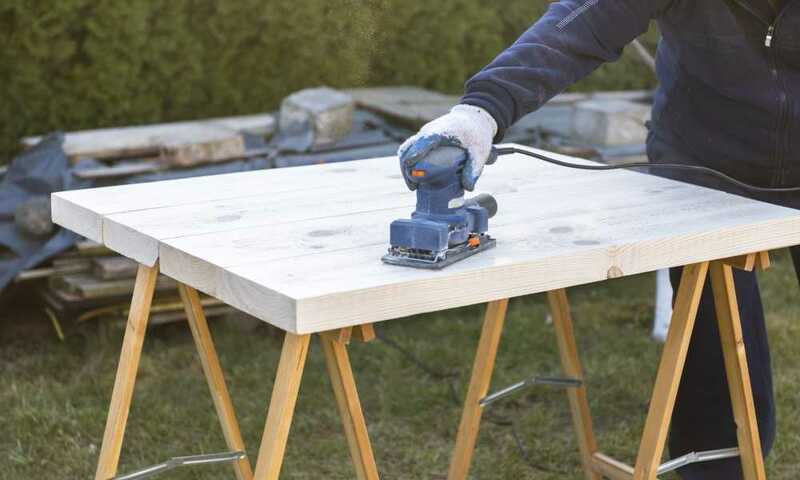 It has a built-in kickstand to allow you to rest the wood planer on your workspace without it accidentally gouging other materials. It has a precision-machined groove which allows you to edge chamfer. The Poly V drive belt provides increased belt durability, allowing the whole system to operate for a longer period without being overworked. It has an ergonomic handle which is designed to give you more comfort and control. The DeWalt kit comes with; the planer, two reversible carbide blades, a rabbeting fence, dust adaptor, blade depth setting gages, a socket wrench, and lastly a kit box. 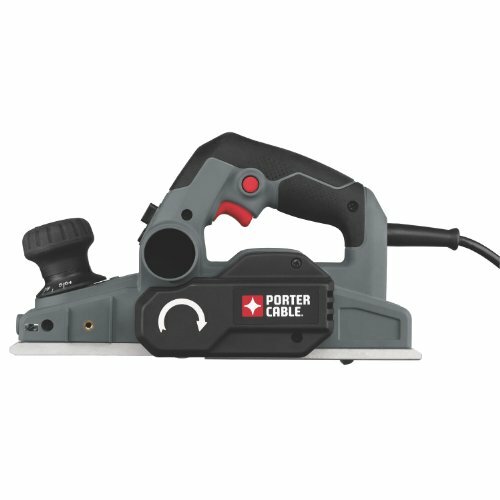 The Porter PC60THPK hand planer is perfect for contractors who are looking for a heavy-duty machine. The motor runs at 6 amps, and it provides you with smooth cutting on even the hardest of materials. It offers a low profile which can be easily adjusted. The kit includes a longer shoe and three chamfer grooves. It has dual side dust extraction and includes an installed dust bag to keep your workspace clean. The design is made to be comfortable and convenient, dust extraction, power, and enhanced performance. The machine has a heavy duty motor runs at 6-amps and can cut up to 16,500 RPM. It has 5/64 inches of depth and can remove excess material much quicker. It has a 0.4-inch maximum rabbit depth which can help remove more material every time it passes through it. It uses carbide and HSS blades to help provide you with extra flexibility to all your projects. It has an 11.5-inch aluminum shoe which gives you extra control and gives a better finish to all of your jobs. Makita power tools deliver enhanced accuracy, precision, and capacity with innovative designs for all of their products. The Makita 12 ¼ inch planer is the Kp312 model and is engineered for a more stable and even cut every single time you use it. It’s designed for professional timber framers, log home manufacturers, carpenters, boat fabricators, and many more. The KP312 features a 15-amp motor which can deliver up to 12,000 RPM. It can plane up to 12 ¼ inches wide and cut ⅛ inches thick in just one sweep. It has a nonslip poly-V belt that is designed to give you more power to the double-edged high-speed steel blades for a better result. The front roller is engineered to help you transport your device, which makes it perfect for contractors or business owners. The spring-loaded stand helps elevate the base and protect the blades and your surrounding workspace. The KP312 has a depth setting knob for easy adjustments and comes with a 33-foot cord which is located at the top of the handle, so it doesn’t get in the way when you’re working. The rubberized front handle is designed to not only be comfortable but also reduce your fatigue and increase your control. The Black & Decker 7698K wood planer offers you increased power and extra versatility to perform an array of different functions. You can smooth rough materials or use it to add finishing touches to your woodwork projects. With 5.2 amps, you have a high-torque motor which can produce up to 16,500 RPM. The planner allows you to have increased power and more control while using it. It’s perfect for contractors, wood furnishers, beginners, experts, or people who are just looking for a better finish to their woodworking projects. 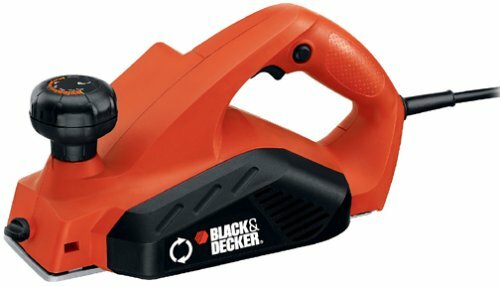 The Black & Decker wood planer has a 5/64 inch deep cutting capacity which is perfect for projects that need enhanced precision. It includes a 5/16 inch rabbeting depth capacity with a chamfering groove to help you better your finishing touches. It includes 10 positive spots with a front depth adjustment handle which makes it easy for you to perform accurate cuts. The front depth adjustment handle and lock on the button can make for a more comfortable use. The wood planer also features an edge guide, vacuum adapter, dust bag, hex wrench, and lastly a kit box. It also comes with a two-year warranty. 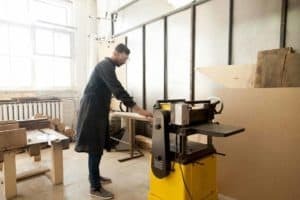 As you can see, there are plenty of wood planers for both beginners and experts in the woodworking business. If we had to recommend the best hand planer to you, we’d have to choose the Makita KP312 model. This is because it has a powerful motor with a decent RPM speed, a poly-V belt design to increase the longevity of the unit, and front rollers which allow you to move it from place to place. This makes it the perfect unit for anyone who needs to use it for their business and need it for use in more than one place. 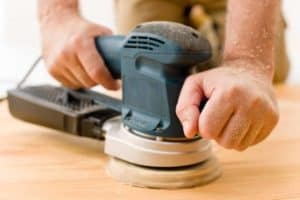 Wood planers can make a world of a difference when it comes to finishing your woodworking projects. Use it on door finishes, furniture, artwork, and much more. 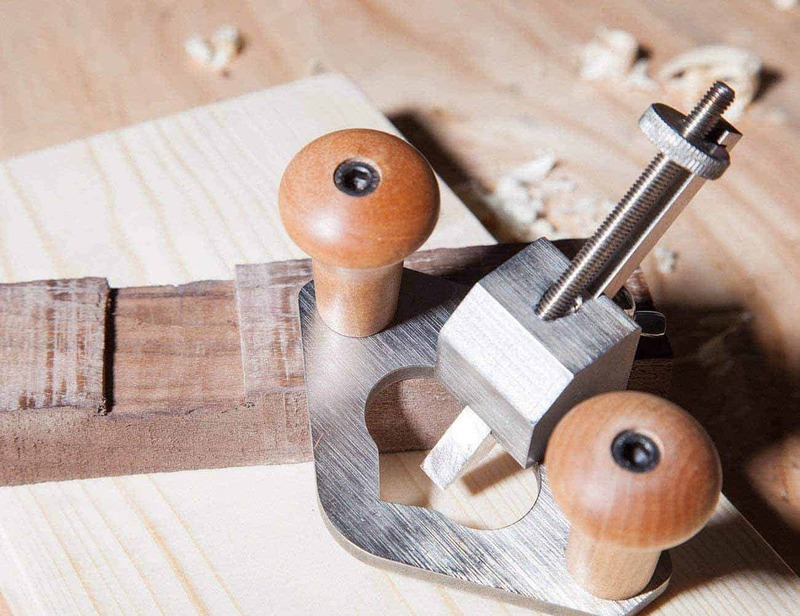 These wood planers are great for contractors, furniture makers, boat makers, and anyone who has a passion for putting fine finishes onto wood projects.